The 2019 Mercedes-AMG A35 is the slightly more affordable version of the hot hatchback and will produce in excess of 300 bhp. The A-Class is the smallest offering by Mercedes-Benz and the automaker is all set to unveil an Affalterbach-tuned version of its hatchback at the upcoming Paris Motor Show 2018. The 2019 Mercedes-AMG A35 will be the newest addition to the A-Class family and has been teased by the automaker and the new model will serve as a mid-level performance hatchback that sits below the range-topping A45 AMG. 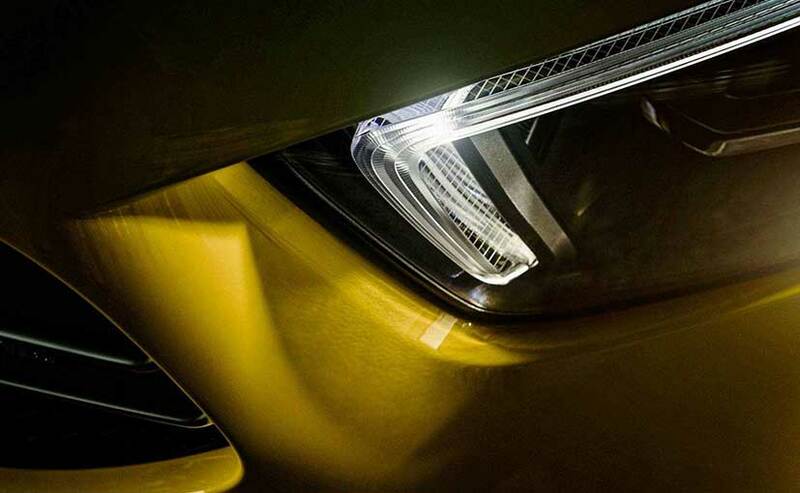 The new teaser images reveal some interesting details about the all-new model, and we certainly like what we see. 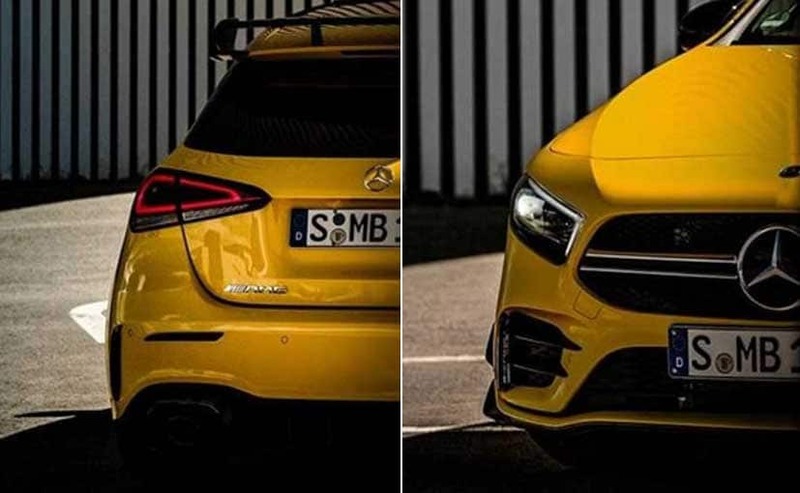 The 2019 Mercedes-AMG A35 has been teased in the solar beam yellow metallic shade that looks young, vibrant and bright and quite apt for the hot hatch. The teaser reveals beefy air intakes in the front bumper, while a massive rear wing takes prominence at the rear. The twin-blade grille is common to the lower-spec AMG models now and looks at home on the A35 too. The Mercedes-AMG A45, in contrast, features the Panamericana grille instead that makes way on all range-topping versions. The rear bumper has been revised as well and gets a dual-exhaust with a blacked out diffuser, as opposed to quad exhausts on the A45. The cabin hasn't been revealed yet on the 2019 Mercedes-AMG A35 hot hatch, but you can expect to see performance seats with improved lateral support, AMG badging all over, AMG steering wheel and more. 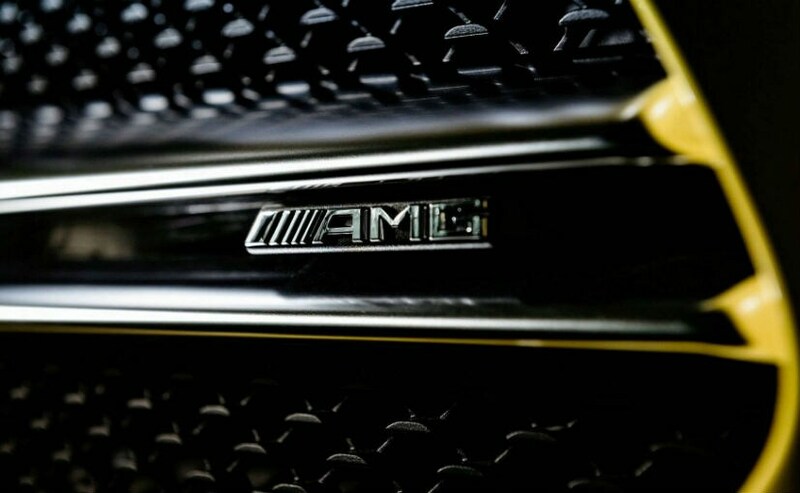 The teaser also reveals illuminated AMG side sills on the model. The car will also come equipped with the MBUX infotainment system. With respect to power, the Mercedes-AMG A35 will be powered by a 2.0-litre turbocharged petrol engine churning out in excess of 300 bhp that will be sent to all four tyres via the 7-speed, dual-clutch automati transmission. Upgrades will also extend to the suspension, brakes, and the chassis as well to handle all that additional power. The 4MATIC all-wheel drive system is likely to be offered as standard. The Paris Motor Show 2018 will commence on October 4, 2018, and we will see a host of cars from the Mercedes-Benz including all-new GLE. The automaker does not retail the AMG-spec A-Class in India, but just could reconsider with the A35 that will command a lower price tag. Sales in Europe meanwhile, is expected to begin by the end of the year.